Did the Irish Invent Halloween? The Irish invented Halloween, fact or fiction? Folklore tells us that the Irish created Halloween and spread the end-of-autumn celebration around the world as the people would travel from their homeland to far flung shores. But how true is this story? It is generally known that prior to the arrival of Christianity the Irish were Celts and that Celts celebrated Samhain, the Feast of the Dead, when the deceased revisited the mortal world on the last day of autumn. The Celts lived not only in Ireland, but also across the rest of Northern Europe and Samhain was celebrated everywhere from Germany to Scotland. The Celtic Druids were extremely superstitious and would dress up in costume to avoid being carried away by the ghosts or devils roaming the land on Samhain night. It is from this that the tradition of dressing up at Halloween began. As the Catholic Church spread northwards, reaching the land of the Celts, they integrated the teachings of the church with the rituals of the natives. During the 8th century, the Catholic Church chose the first day of November as All Saints Day, or All Hallows, initially in honour of the early Christian martyrs. From here we get the name Halloween, the night before or eve of All Hallows. The following day, second of November, became All Souls, a day in which people could pray for their departed friends and relatives. This was associated with the new doctrine of purgatory, the theory in which most people did not go straight to hell or heaven but to a place where their sins were purged to fit them for heaven. It was believed that the prayers of the living and the intervention of saints could shorten the period spent in purgatory. Christian ideology fed into the old Celtic traditions and the two evolved into the Halloween we have today. Another aspect of the season was a celebration of the summer harvests and homecoming. The people would have been well fed after the summer and autumn harvests. Hay would have been gathered and stored, fruits and vegetables, stored, dried and pickled for the lean months ahead. Those who had travelled to work on the farms of others were returning home. It was a time for reunions and celebrations, a time for storytelling and the settlement of disputes, but most of all, it was a time for relaxation. Halloween was the night when the woman of the house opened their cupboards and spread a little feast for the returned. Hazelnuts, apples and other fruits of autumn had an important place in the combined pastimes of feasting and foretelling the future. Many games were played upon the theme of matchmaking and marriage. Barmbrack, a fruit loaf often containing items such as a coin or a ring would be served. The diner who received the slice with a ring was destined to wed in the coming year while and the coin denoted wealth. Cabbages, or sometimes turnips, figure in many old games and one of these were often tossed against a neighbour’s door on Halloween night to give them a fright. 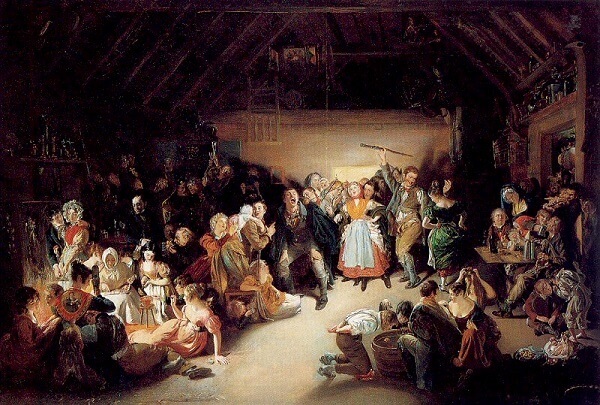 This is where the Trick or Treat comes into play, though unlike today traditionally the child at the door would perform the trick in the form of a song or dance to receive a treat. It was only when this custom crossed the Atlantic that the tricks became sinister. The festival also ushered in winter, which was the most frightening, uncomfortable and inconvenient of all the seasons in northern Europe. It was the feast that prefaced the months of darkness, cold, hunger, claustrophobia and the physical illnesses. The season of death was coming not just the leaves and flowers, but also of humans as the winter and early spring brought more death than at any other time of year. That was why Halloween was widely regarded as the period when the spirits of darkness, evil and fear were let loose upon the earth. Now we come to the Irish tale of Stingy Jack, or as he was later known Jack O’Lantern. Legend tells us that he was a blacksmith, a lost soul, to whom the Devil doomed to roam the Earth forever. The story of Jack is not uniquely Irish, it seems to have roots in Christian mythology, he was known by many names in Wales he was Sion Dafydd. The Irish tale was popularised by Hercules Ellis in the 19th century in his poem, the Romance of Jack O’Lantern. Yet, there is no suggestion at this stage that the “Stingy Jack” story is connected in any way to Halloween customs nor to turnip lanterns. For that link in the puzzle we cross the Irish Sea to England. In 1700s England, it was common practice to carve a turnip, place a candle inside and use it to scare unsuspecting folk at night. There were many names for these carved torches including Hoberdy’s Lantern and the now famous, Jack O’Lantern. While it’s clear that turnips were being carved into lanterns across all across Ireland and England for centuries, is there were no specific accounts of this being done to mark Halloween night. The earliest known source for this tradition comes from Scotland, where boys would carve turnips lanterns and place them in church yards on that night, with the intent to scare passers-by. So, today, we have the Halloween tradition of the turnip lantern. In the USA, where the turnip was not so widespread, a pumpkin was used. Turnips were available in North America from the 16th century onwards, but these did not hold favour in the proliferation of the tradition brought over by the Irish and English. This had less to do with the lack of turnips and more to do with the ease of carving which came with the pumpkin. What is interesting is that this new tradition returned to Ireland with imported pumpkins. So did the Irish invent Halloween? 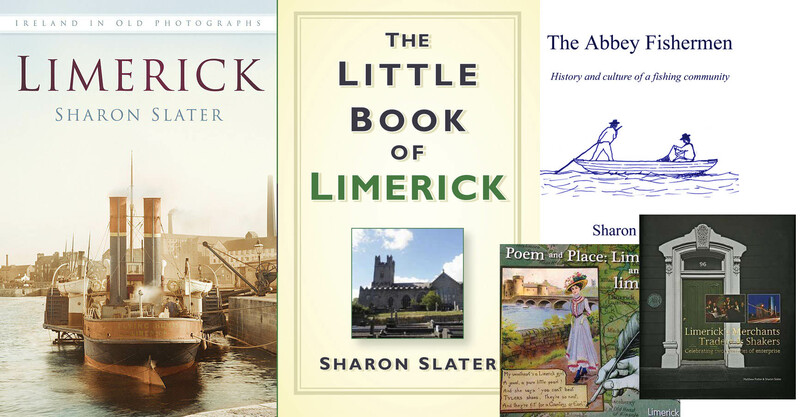 The answer is a firm no, but did the Irish contribute to its widespread popularity? Tradition would say yes, and as it is a festivity of tradition, we can respond with a resounding yes. For more information on the Irish and the Halloween myth check out Liam Hogan’s article.